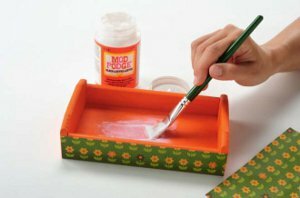 Mod Podge is a must-have craft supply for all types of DIY crafters. Available in a wide range of styles and finishes, Mod Podge can do everything from gluing down paper to adding a lovely finish to beads and jewelry. 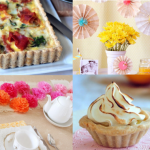 If you love Mod Podge as much as I do, then you’re going to love this amazing collection of 11 Ways to Use Mod Podge. With great suggestions on how to decoupage stools, tables, boxes, and jars, these projects will help teach you how to look at everything in your home in a new light. Are you new to the art of Mod Podging? Never fear! We have a wonderful Mod Podge Basic Tutorial for you that wil give you the basics for working with Mod Podge. This craft glue can help you do things you never thought were possible, and with a wide range of finishes to choose from, you’re bound to find a Mod Podge to suit your needs. Once you’ve mastered our Mod Podge Basics Tutorial, check out the projects below for some great ideas on how you can use this glue. 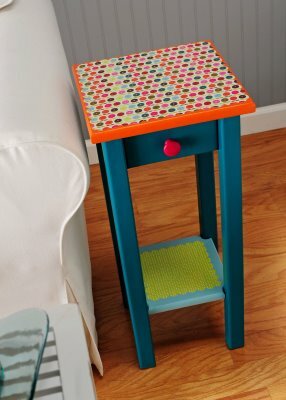 The Upcycled End Table, for example, is a great project for beginners. You can create a colorful table to match any decor scheme in your home and use up materials in your craft stash while you’re at it! 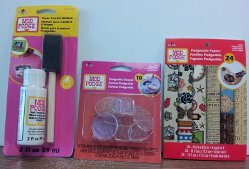 As an added bonus, we’re also giving you the opportunity to win a collection of Mod Podge supplies! Scroll on down to the bottom of the post for more information on how you can win some Mod Podge of your own! BONUS! 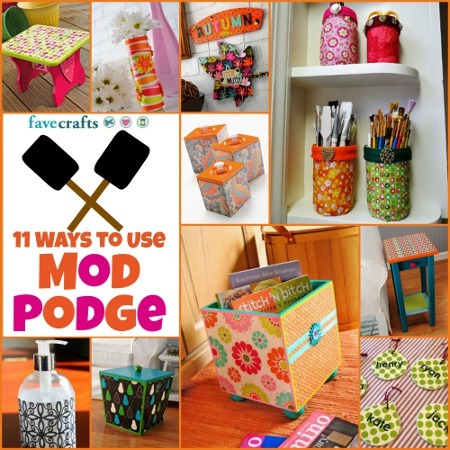 We’re giving away a little collection of Mod Podge supplies! This Mod Podge Podgeable Collection has everything you need to help you create wonderful decoupaged jewelry, artwork, and much more. You have until July 22nd to enter, and you can enter to win once a day…so the more you return, the greater your chances of winning this awesome giveaway! Good luck! Like free stuff? Be sure to enter to win our other weekly giveaways, going on now!